Customer agrees to pay for all products purchased through EZDIYWORLD and be responsible for the timely payment of any and all outstanding balance EZDIYWORLD may charge customer’s payment method for any product purchased and for any additional amount (including shipping & handling, tax, late fee, interest charge, etc., as applicable) that may be accrued by or in connection with your Customer Account. All payment shall be in U.S. dollars. Payments unless otherwise specified in the purchase receipt shall be due Cash on Delivery. Checks that are unpaid due to insufficient funds, stop payment, or other reasons shall be subject to a twenty-five-dollar ($25) processing fee. Late payment shall result in a fifty-dollar ($50) late fee in addition to interest charge of one-half percent (1.5%) for any calendar month for which payment or partial payment remains due. Product prices may change at any time. EZDIYWORLD does not provide price protection or refunds in the event of a price reduction or promotional offering. EZDIYWORLD offers 30-day money back guarantee. No returns will be accepted without a Return Merchandise Authorization from EZDIYWORLD. Please coordinate returns by phone before returning any product. Exclusions and Limitations in Limited Warranty apply. Return of non-defective product must be in good and resalable condition, must include all original packaging along with accessories, product literature and other paperwork. 20% Re-stocking fee will apply to returns with missing parts, visible wear and tear, signs of usage, or other cosmetic damages. EZDIYWORLD reserve the right to refuse incomplete or damaged returns. Refund may be issued as store credit or in the original form of payment. Shipping & handling costs are non-refundable. All sales are final after 30 days. No return for credit will be accepted after 30 days of purchase. EZDIYWORLD warranty obligations are limited to the terms set forth below: EZDIYWORLD LLC (“EZ” OR " EZDIYWORLD ") warrants its product against defects in materials and workmanship for the period(s) and product(s) specified herein. If a defect exists, at its discretion EZ will (1) repair the product at no charge, using new or refurbished replacement parts, OR (2) replace the product with a product that is new or which is manufactured from new or serviceable used parts and is at least functionally equivalent to the original product, OR (3) issue a store credit, at the defective product’s original purchase price or current market value whichever is lower, if the model or any suitable substitution is unavailable or discontinued. A replacement product/part assumes the remaining warranty of the original product. When a product or part is exchanged, any replacement item becomes your property and the replaced item becomes EZDIYWORLD’ property. When a refund is given, your product becomes EZ’ property. NVRs/DVRs: For a period of three (3) years on UNIVIEW, DAHUA Series Products, two (2) years on standard HD-SDI and Analog Products, including the hard drives installed by EZ at system configuration, from the date of original purchase. CAMERAS: For a period of three (3) years on IP cameras; (1) year for HD-SDI, Analog, IP and PTZ cameras from the date of original purchase. 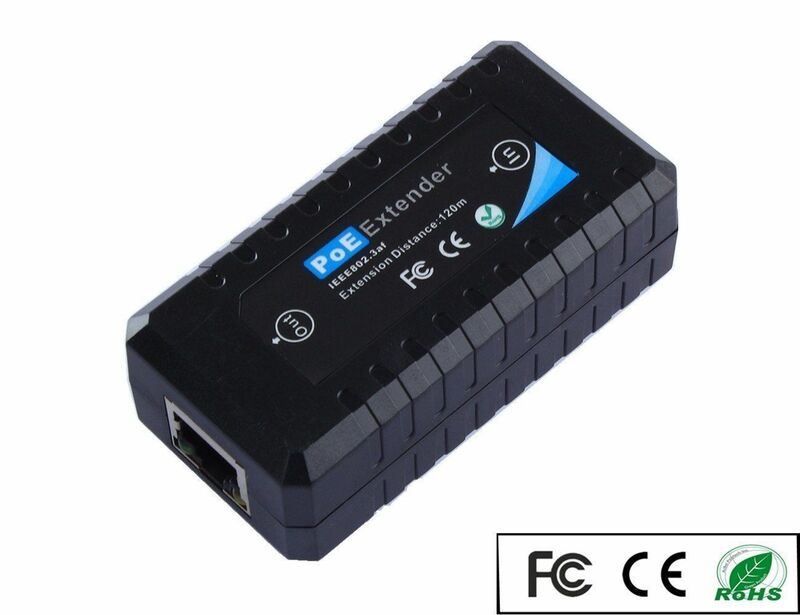 ACCESSORIES: For a period of one (1) year from the date of original purchase on all accessories, and a period of two (2) years on power supplies. When you contact NSI's for warranty service, you will be asked to obtain a Return Merchandise Authorization (RMA) number before you can send the product back to EZDIYWORLD. Please prepare to furnish your name, company name, address, telephone number, invoice number (proof of purchase and date), item code, serial number and a detailed description of the apparent or alleged defect. Please download the RMA Form to assist with your warranty service request. The purchaser is responsible for, at their own expense, delivering the product(s) to the EZ sales office from which they made the purchase. DOA policy - Free Ground shipping will be arranged at EZ’ expense for all products determined by EZ Technical Support to be DOA within 10 business days after delivery by EZ. If a product is deemed defective more than 10 business days after NSI delivery, or deemed NOT to be DOA, EZ standard product warranty will apply. DOA return label covers only DOA items. No other item may be shipped back with the DOA label or the excess shipping charge plus a $25 handling fee will be posted to the customer’s account. NSI reserves the right to test returned DOA product. If the condition of the product is misrepresented by the customer, EZ may impose a $50 handling fee. All replacement or repaired products for defective RMA items will be shipped to customer by ground service only. The cost of any expedited shipping option will be the customer’s responsibility. Advanced replacement or cross-shipping service can only be processed with a replacement order on payment term, at the original sale price, by ground shipping. Refund, including replacement ground shipping cost from EZ, will be issued upon receipt of the defective product within 15 calendar days after the issuance of an RMA number. If the defective product is not returned in time, the replacement order will be final as regular purchase and the defective product will, once again, be subjected to standard warranty procedure. Note: Before you deliver your product for warranty service it is your responsibility to keep a separate backup copy of the system software, application software and data. Data recovery is not included in the warranty service and EZ is not responsible for data that may be lost or damaged during transit, repair or replacement. EZ will not install or reinstall any software that is not of the original system configuration. EZ is not liable for any damage to or loss of any programs, data, or other information stored later by the user on the DVR, NVR, CAMERA, or ACCESSORIES. Recovery and reinstallation such programs and user data are not covered under this Limited Warranty. This Limited Warranty does not apply: (a) to damage caused by accident, negligence, mishandling, misuse, abuse, or products not supplied by EZ; (b) to damage caused by faulty installation, misconfiguration, misapplication, improper operation, alteration or modification without written permission of EZ, or service performed by anyone other than an EZ authorized personnel; (c) to damage caused by power surge, improper voltage supply, lightning strike, flood, earthquake, or damage that is attributable to nature disasters; (d) if the EZIYWORLD serial number has been removed or defaced; (e) to misapplications in other environment and/or used with non NSI products. IN NO CASE SHALL EZ, ITS DIRECTORS, OFFICERS, EMPLOYEES OR AFFILIATES BE LIABLE FOR ANY DIRECT, INDIRECT, INCIDENTAL, PUNITIVE, SPECIAL, OR CONSEQUENTIAL DAMAGES ARISING FROM THE USE OF ANY EZ PRODUCT, OR ANY BREACH OF WARRANTY OR CONDITION, OR UNDER ANY OTHER LEGAL THEORY, INCLUDING BUT NOT LIMITED TO LOST PROFITS, LOST OF CONTRACTS, DOWNTIME, GOODWILL, DAMAGE TO OR REPLACEMENT OF EQUIPMENT AND PROPERTY, ANY COSTS OF RECOVERING, REPROGRAMMING, OR REPRODUCING ANY PROGRAM OR DATA STORED IN OR USED WITH EZ PRODUCTS, AND ANY FAILURE TO MAINTAIN THE CONFIDENTIALITY OF DATA STORED ON THE PRODUCTLTS SPECIFICALLY DOES NOT REPRESENT THAT IT WILL BE ABLE TO REPAIR ANY PRODUCT UNDER THIS WARRANTY OR MAKE A PRODUCT EXCHANGE WITHOUT RISK TO OR LOSS OF PROGRAMS OR DATA. . NSI DOES NOT GUARANTEE, REPRESENT, OR WARRANT THAT THE USE OF ITS PRODUCT OR SERVICE WILL BE FREE FROM INTERRUPTION, ERROR, LOSS, CORRUPTION, ATTACK, VIRUSES, INTERFERENCE, HACKING, OR OTHER SECURITY INTRUSION, AND NSI DISCLAIMS ANY LIABILITY RELATING THERETO. EZDIYWORLD SPECIFICALLY DISCLAIMS ANY AND ALL IMPLIED WARRANTIES, INCLUDING, WITHOUT LIMITATION, WARRANTIES OF MERCHANTABILITY AND FITNESS FOR A PARTICULAR PURPOSE. IF EZ CANNOT, IN SOME STATES OR JURISDICTIONS, LAWFULLY CLAIM LIMITATION OF LIABLITY OR DISCLAIM IMPLIED WARRANTIES UNDER THIS LIMITED WARRANTY, ALL SUCH WARRANTIES ARE LIMITED IN DURATION TO THE DURATION OF THIS WARRANTY AND EZ’ LIABILITY SHALL BE LIMITED TO THE EXTENT PERMITTED BY LAW. No EZ reseller, agent, or employee is authorized to make any modification, extension, or addition to this warranty. © 2018 EZDIYWORLD LLC. All rights reserved. EZ and the EZDIYWORLD logo are trademarks of EZDIYWORLD LLC registered in the U.S. and other countries.